While everyone is enjoying the Summer and all the good weather and vacation fun, we in the retail world are planning for the Fall and Winter, particularly the Holiday Season promotions. Available in both the regular Shophie 15L and the mini Shophie 6L, a fresh and current seasonal basket will help your store decor during the Fall and Winter rush. 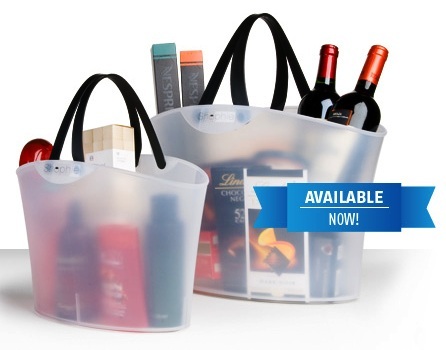 Retailers want to maximize sales during this critical time of the year and Shophie baskets can help. Pick from our standard Holidays designs, our design your own for a unique look and message. The important thing is to order early (before Labor Day recommended) so you can have them in time for the Fall and Winter promotions. 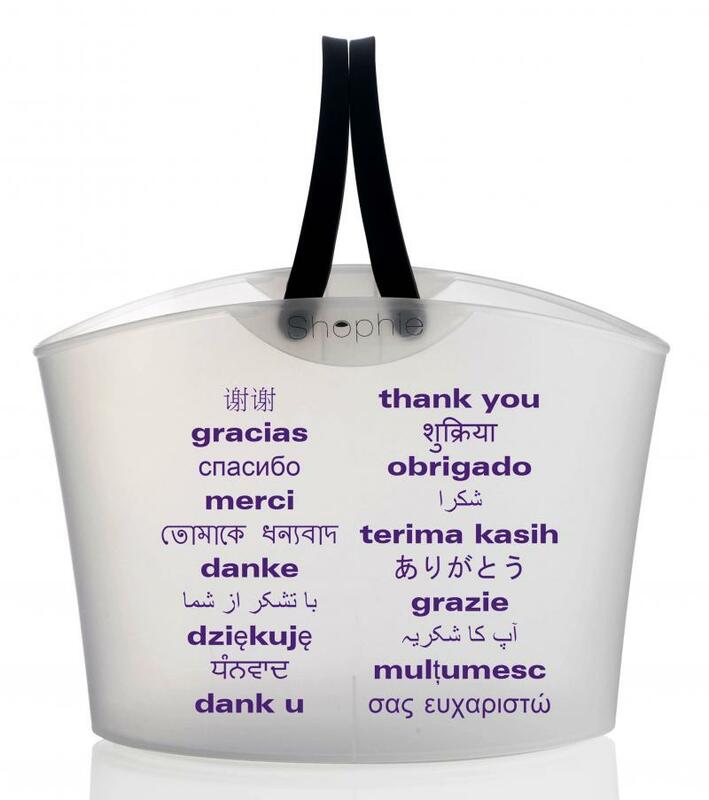 How about a multi-lingual translucent white Shophie saying "Thank You" in the 20 most spoken languages. ©2006-2018 Shopping Kaddy and Kamotion Group Inc.